Our surgeries are all by appointment but, unfortunately, they cannot all be at 8.00am or 5.30pm! Please be patient with the receptionist when they are trying to find you a convenient time. To make an appointment, either visit or telephone the surgery. 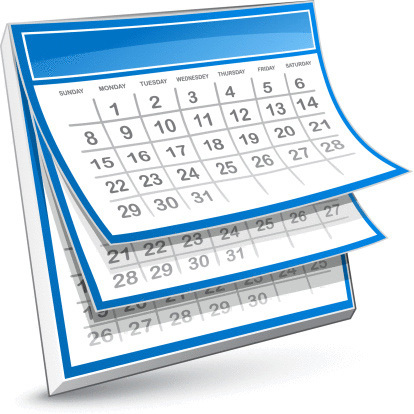 If you wish to make an appointment with a particular Doctor you will need to book in advance. If your need is urgent, please make this clear to the receptionist and be prepared to see the Duty Doctor (who may not be the doctor you usually see.) We will do our best to offer you an appointment that day in cases of genuine need. You stand a far better chance of a same day appointment if you contact us as soon as possible after 8.00am. Conversely, if you phone at 5.00pm for a same day appointment, you are likely to be disappointed unless your need is very urgent. As we are a training practice there may be occasions when we have students observing . You will be asked to provide consent prior to the consultation and are under no obligation to agree to this. We are now delighted to be able to offer the facility for patients to book appointments online using SystmOne online services, even when the surgery is closed. Patients will need to be registered for this service (registration form below). Once registered for these services patients will be able to book appointments online and cancel future appointments if required. These services also offer the facility for patients to be able to order repeat medication and view their summary care record. We have created a ‘SystmOne online services FAQ’ for patients who have queries regarding the services. However should you have any further queries or would like to speak to a member of staff please contact the surgery on 01297 20616. 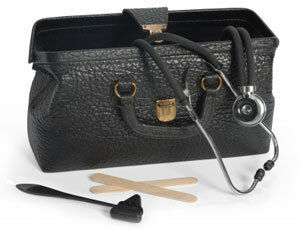 Patients requesting an urgent appointment will be booked with our duty doctor. Please note that these appointments will normally be offered to you in the afternoon. These will be ‘see and treat’ appointments where the doctor will only have time to discuss the acute emergency complaint. For any other medical issues, you will be asked to book a routine appointment with a GP. Patients often feel their need is urgent but in reality many appointments could wait, e.g. prolonged cough, chronic back pain or contraception requests. We regularly contact patients who are due either their six month or annual check-up. Patients will be contacted by text/email or telephone according to their surname. Patients with surnames A-C will be contacted in April, D-F in May and so on. The practice will use the mobile number and/or email address provided for text messages unless you have specifically asked us not to. Please help us by keeping your contact details up to date. These can be pre-booked up to 12 weeks in advance to accommodate booking time off work etc. By the same token, the appointment could be for in just a few days’ time. The telephone number for these appointments is 01297 20616. Opening hours are 8am to 6pm. Patients will either receive a text message, email or letter from the practice asking them to make an appointment or the Doctor will ask the patient to book an appointment as they leave the Practice. These appointments are not deemed urgent and patients will be offered appointments up to 3-5 weeks in advance. If the doctor feels the need is more urgent this will be communicated either in writing or by telephone. These can be requested when patients require advice or wish to discuss a matter without needing to attend the surgery. The Doctors will normally return the call at the end of surgery but we cannot ever guarantee what time the call will be made. Alternatively the receptionist or secretary may be able to help with your query. Patients can take their blood pressure without needing to book an appointment to see a Nurse or Doctor. We have a waiting room blood pressure monitor; this enables patients to take their own blood pressure. Once the machine has calculated the reading a slip with the results will then be printed, please fill in your details on the forms provided. Patients should then hand back those forms to any member of staff, patients records will then be updated accordingly. These are for patients who genuinely cannot leave their house to attend an appointment at the surgery. Patients will be asked to describe the nature of the illness and provide a contact telephone number to the receptionists so that the doctors can prioritise the requests. Please telephone 01297 20616 before 11.30am. Visits will be made according to the severity of the condition and workload of the doctor; therefore a set time for the visit cannot be given. You do not require a doctor's sickness certificate for any illness lasting seven days or less. Your employer may however require you to complete a self-certification form (SC2) which is available from your employer or the HMRC website. If you are sick for more than seven days your employer can ask you to give them some form of medical evidence to support payment of SSP (statutory sick pay). It is up to your employer to decide whether you are incapable of work. A medical certificate, now called a 'Statement of Fitness for Work' (see below) from your doctor is strong evidence that you are sick and would normally be accepted , unless there is evidence to prove otherwise. You could also provide evidence from someone who is not a medical practitioner, e.g. a dentist. Your employer will decide whether or not this evidence is acceptable. If your employer has any doubts, they may ask for a medical certificate from your GP. The 'fit note' was introduced on 6th April 2010. With your employers support, the note will help you return to work sooner by providing more information about the effects of your illness or injury.